The rare "Blued" Merwin & Hulbert Open Top Pocket Army is the most highly sought after Merwin. It is known to collectors as the "Holy Grail" of Merwins. Blued models were non-standard and had to be special ordered from the factory. 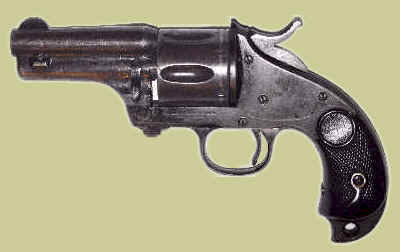 Blued Pocket Army models, with their short barrels and less reflective finish, were special ordered by Sheriffs, Marshals and Law Men, who were in need of these special features. Here we have another "Holy Grail" in superb condition having been produced in 1881, the 1st year of production. (Production is actually earlier than the "matched pair" shown previous) The caliber is marked "Model 1873 Winchester" meaning the big bore 44-40 cal. that was so popular during that period. 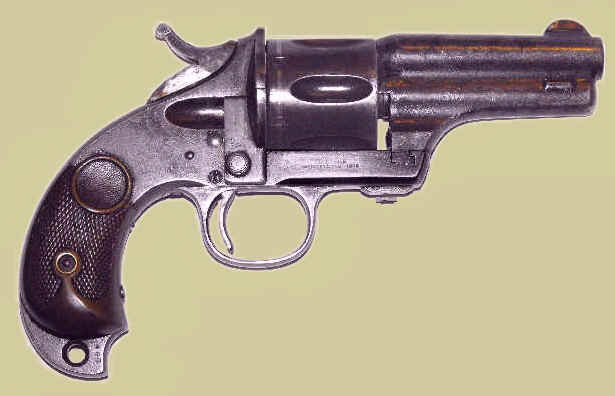 This unique revolver has a 3 digit serial numbers, 18x, with a corresponding 3 digit assembly number 12x.